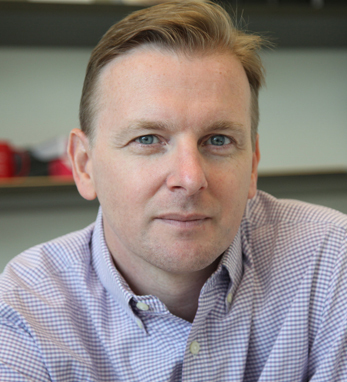 Dr. Paul Kenny is the Ward-Coleman Professor and Chairman of the Department of Neuroscience at the Icahn School of Medicine at Mount Sinai in New York. Paul is also Director of the Drug Discovery Institute at Mount Sinai. He received a degree in biochemistry from Trinity College Dublin and his Ph.D. in psychopharmacology from King’s College London. He completed his post-doctoral training in neuropharmacology at The Scripps Research Institute in La Jolla, California. Research in Paul’s laboratory is focused on the molecular neurobiology of drug addiction, obesity, and schizophrenia. Paul is also involved in efforts to develop novel small molecule therapeutic agents for the treatment of drug addiction and other psychiatric indications, and is the co-founder of Eolas Therapeutics, Inc.